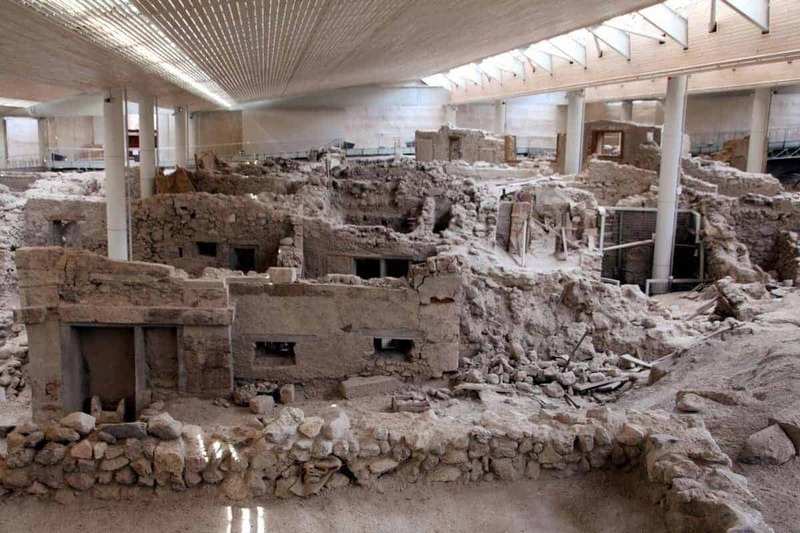 Ancient Akrotiri is a Minoan Bronze Age settlement close to the modern village of Akrotiri. The ancient village was buried by the volcanic eruption that created the caldera and gave the island it’s unique characteristics, the eruption is believed to have occurred between 1642-1540 BC meaning the site is over 3500 years old. 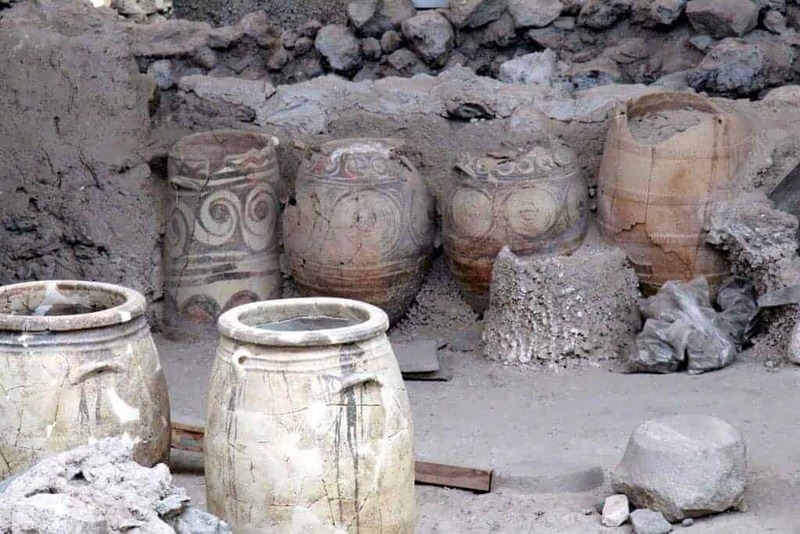 The Ancient Akrotiri site is similar to that of Pompeii in Italy in the way that the buildings pottery and other artifacts are preserved in volcanic ash. The archaeological dig is still on going and they believe that they’ve barely scratched the surface of what might be found on the site. If you want to know more about the remains and what happened all those years ago then there are guided tours available which bring the place to life, they can be a little expensive though. 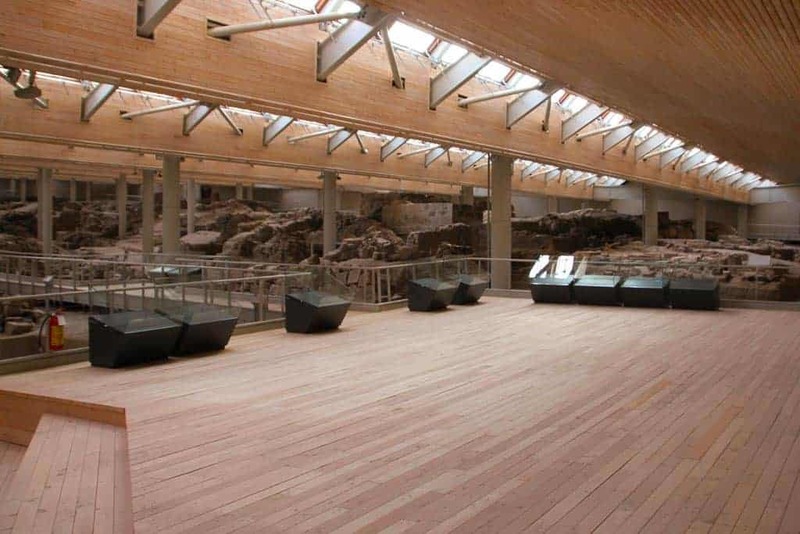 The whole area is sheltered thanks to a modern structure put in place to protect the site, there are wooden walk ways to guide visitors around and keep them away from the delicate remains. The new building also helps to keep the heat of the sun off meaning you can visit at any time of the day, even in July and August. The admission fee is 12€ per person and the opening hours are usually 10.00-17.00 but it is sometimes closed on Mondays. Getting to Akrotiri is easy as there’s a bus stop right outside so if you’re staying elsewhere on the island you can get the bus over, alternatively there is a good sized car park for those that have a car, quad or other vehicle. Go to the Santorini overview page to find out more about the island, it's sights, attractions, beaches and villages. Go back to the our Santorini sight seeing guide to find other activities, sights or attractions to visit whilst in Santorini. We want Which Greek Island to be as accurate and informative as possible, so, if you notice anything wrong with this listing about Ancient Akrotiri Santorini or any other page please let us know. We're also on the lookout for great photos to show people what the places we're describing are like. If you have photos from Ancient Akrotiri Santorini or from any of the other places on the site then we'd love to see them, you can either use the button below to upload a photo of Ancient Akrotiri Santorini or go to the photo upload page to send us some other photos.